HOME | RESERVATIONS | PHOTO GALLERY | ABOUT MOLIVOS (MITHYMNA) | WE ARE HERE..
Molivos (or Mithymna) at the northern tip of Lesvos (Lesbos) island is arguably the most beautiful village of the island with its picturesque fishing port dominated by the castle and tiers of red-tiled stone houses climbing up the slopes away from the blue sea. At night, the flood lit castle turns the port into one of the most romantic places on earth. AND LIKE EVERY YEAR, FOR THE OFF-SEASON MONTHS OF APRIL-MAY & SEPTEMBER-OCTOBER, SEA MELODY ROOMS OFFER AGAIN THE HUGE DISCOUNT 0F 35% TO ALL RESERVATIONS MADE THROUGH OUR WEB SITE! 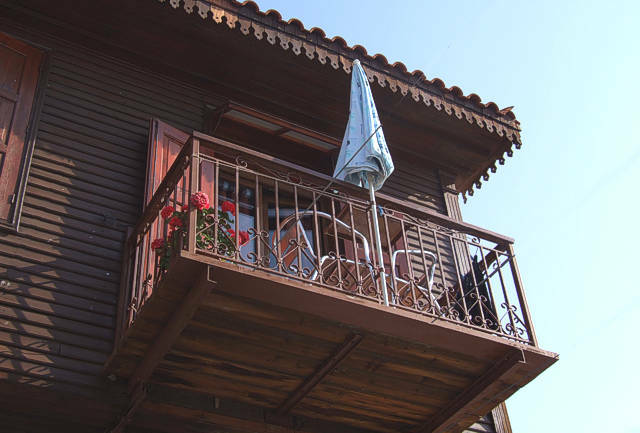 SEA MELODY ROOMS are situated in the most charming area of Molivos (or Mithymna) - its port - having excellent access to all parts of the historic village and pride themselves on offering value for money and a good service within the meaning of budget accommodation. 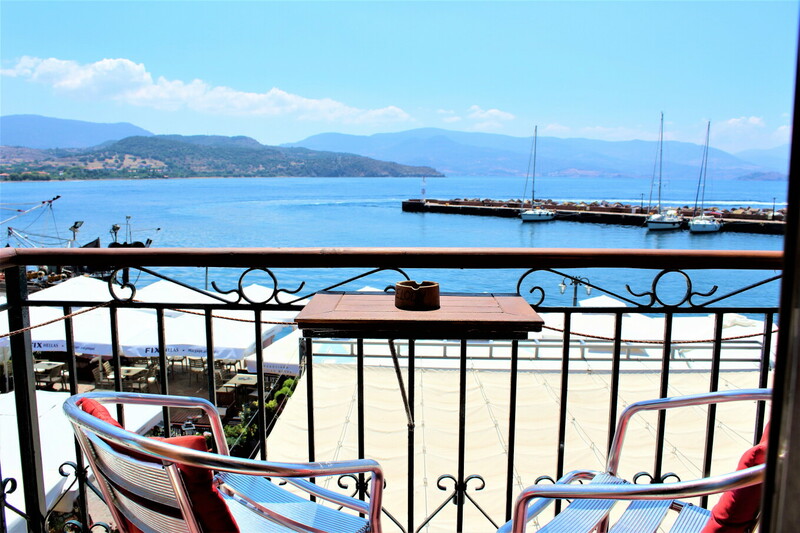 SEA MELODY has seven rooms, all with en suite shower/toilet facilities, most of them with balconies with stunning views of Molivos' Bay, Air-conditioning, TV, hair-dryer, coffee boiler, coffee cups, plates etc., iron, refrigerator etc. 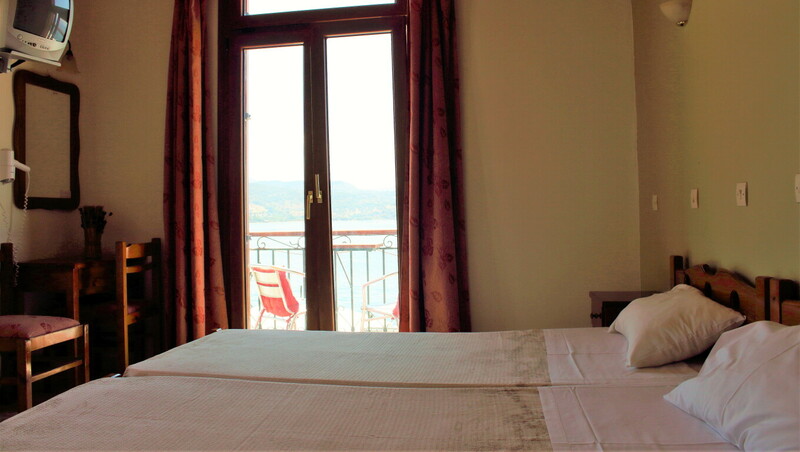 Our rooms are cleaned daily, the towels are changed every second day and the bed sheets twice a week. SEA MELODY can accommodate up to three people (baby cot free on request). 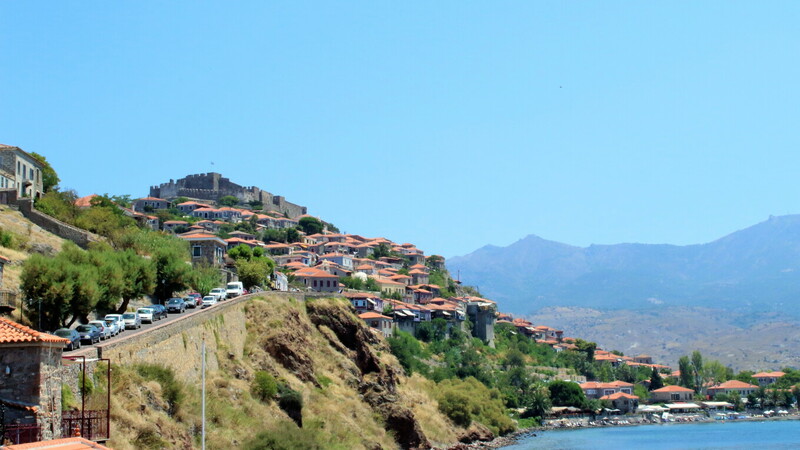 The area of Molivos Port is one of the most beautiful places you'll ever see and it is very well served by a number of cafeterias, restaurants which offer food for different tastes and budgets: From traditional Greek to Italian or European etc. Opposite Sea Melody there is also a mini-market. There are public busses to these beaches on a very frequent schedule! Whatever your motives for traveling to Molivos, whether business or pleasure, we will endeavour to make your stay a pleasant one. Use the contacts below to come in touch with us or complete the our Reservation Form.